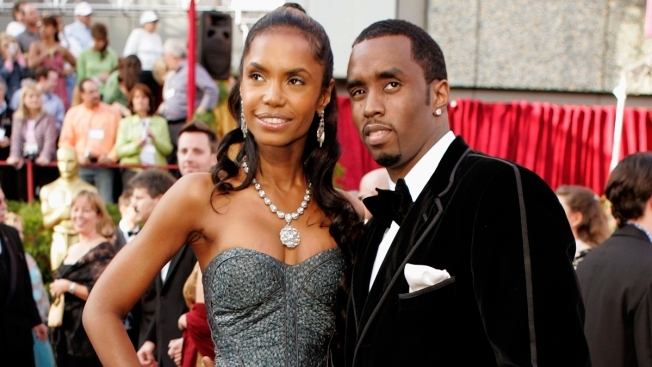 Sean "P. Diddy" Combs arrives with date, Kim Porter, for the 77th Academy Awards in Los Angeles. Sean “Diddy” Combs on Sunday, Nov. 18, 2018 is making his first public statements since the loss of longtime former girlfriend and mother of three of his children Kim Porter, saying they were “more than best friends,” and “more than soul mates.” Porter, a former model and actress, died in her home Thursday, Nov. 15 at age 47. Coroner office officials say former model and actress Kim Porter died last year from pneumonia. The Los Angeles coroner's office on Friday released the results of its investigation into Porter's Nov. 15 death. Investigators determined after an autopsy that her death was from natural causes. The 47-year-old was also a former girlfriend of Sean "Diddy" Combs and the pair had three children together. Combs eulogized Porter at her funeral in her hometown of Columbus, Georgia. Numerous celebrities, including Usher, Mary J. Blige, Lil' Kim and producer Russell Simmons attended the ceremony, which ended with fireworks. Porter also has a son, actor-singer Quincy Brown, from a previous relationship with R&B singer Al B. Sure! Combs called Porter "more than a soul" mate in a tweet after her death.